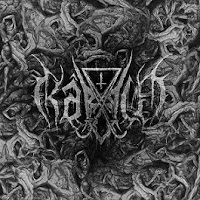 Kâhld might have a slightly difficult time standing out against the swollen hordes of European black metal, which are ever increasing and rarely culled. I say that because I feel like it's somewhat of a crime, for while this German outfit is hardly bringing much to the table by way of novelty, they do a fairly thorough job of crafting a varied and interesting debut album with a lot of the strengths we associate with the genre's fundamentals. To be fair, the chord set carved out over the course of No Fertile Ground for Seeds is one that the ardent listener of the medium will find mildly redundant, but it's how they incorporate these floods of dissonant, feverish aggression into the strong bedrock of percussion, slower, sure footed tempos interspersed with the blasting, that lends this album a sense of well-rounded, well-honed songwriting, which the first time through was hardly the most predictable thing I've heard lately in this or any other genre. The sound here is best compared to Swedish and Norse acts ala Dark Funeral, Marduk and 1349, but where Kâhld deviates is in their unwillingness to commit too seriously to convention alone. For instance, the track "Existence - Environment - Experience" segues into a strange bridge of organ tones, percussion exploding everywhere, feedback and sparser broken riffs and bass lines that are quite unusual given the rest of the song's context. You'll find this happens often, as in the intro to "The Step Outside" which also grafts those shimmering, evil, dissonant chords to some rumbling and potent fills before escalating into a real black/thrashing head jerker. While the Germans can easily just launch into a blast beat where it serves them, the way they put tracks like this together gives the material a more curious, urban, post-industrial feel to it, especially when they incorporate those deeper clean vocals to create an atonal chanting effect, another component they have in common with a lot of what the Scandinavian bands evolved into for the 21st century. 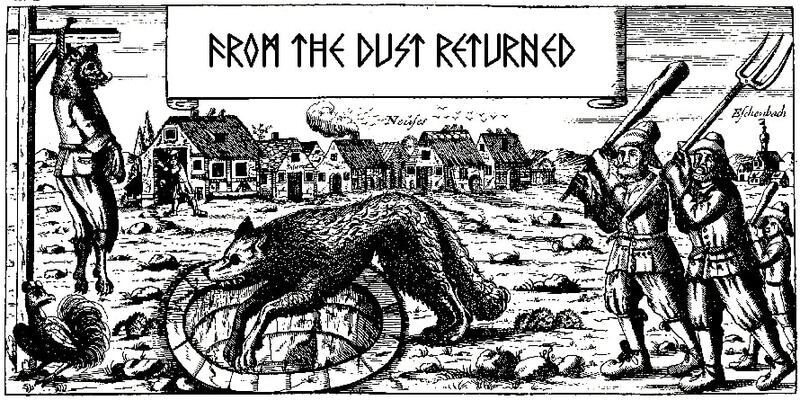 This isn't all wolves, moons and serene, cold woodlands, but staring at cracks in the pavement of civilization, gaps that if left too open swallow cultures whole. No Fertile Ground for Seeds also sounds pretty damn clear, perhaps not the most neutered or polished production in its field, but extremely fulfilling, with both the bass guitars and the incredible drums making their mark against the rhythm guitar and rasped, angry barking. It's an album just unique enough to create a particular mood beyond the necro newspaper-print baseline of its genre, and I think for that reason that it lives up pretty well to the recent, more outward branching records by bands like Enthroned, Merrimack or Marduk who have attempted to evolve their sounds, if ever so minimally, into something studied, semi-intellectual and borderline esoteric rather than just endlessly recycle their roots. As such, this was a fairly compulsive introduction to a band with some degree of potential, perhaps not the strangest or catchiest in their niche, but certainly one that can go the considerable distance of an hour of black metal and keep my interest level in the black. Another promising entry into that newish German wave of darkness which also features Entartung, Sarkrista, Dysangelium, etc.